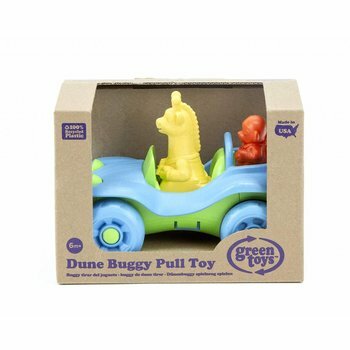 Buckle up for a jungle adventure with the Green Toys™ Dune Buggy! 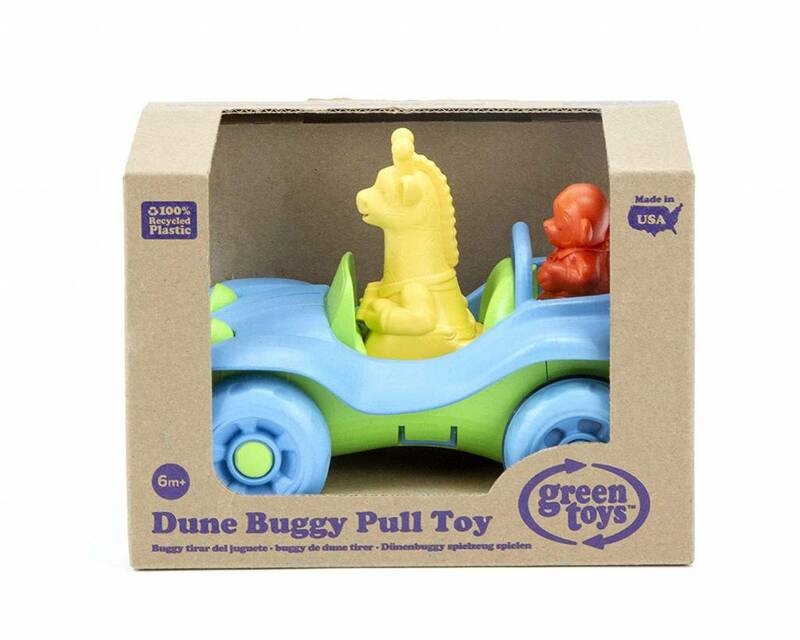 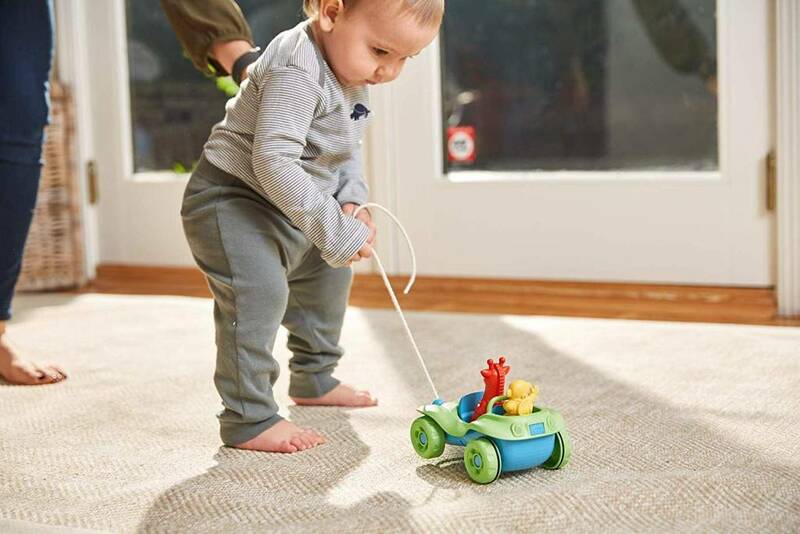 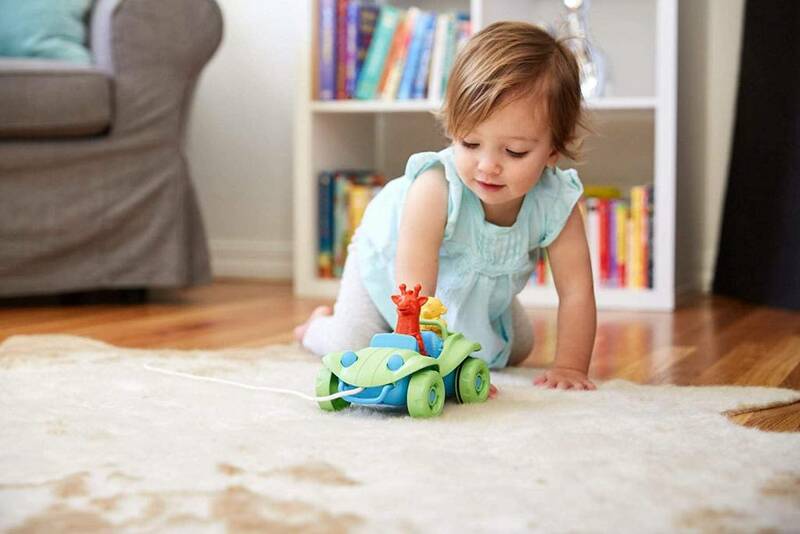 This chunky, blue and green pull toy is the perfect toddler toy to help develop balance and coordination, fine motor skills, and cause and effect reasoning. 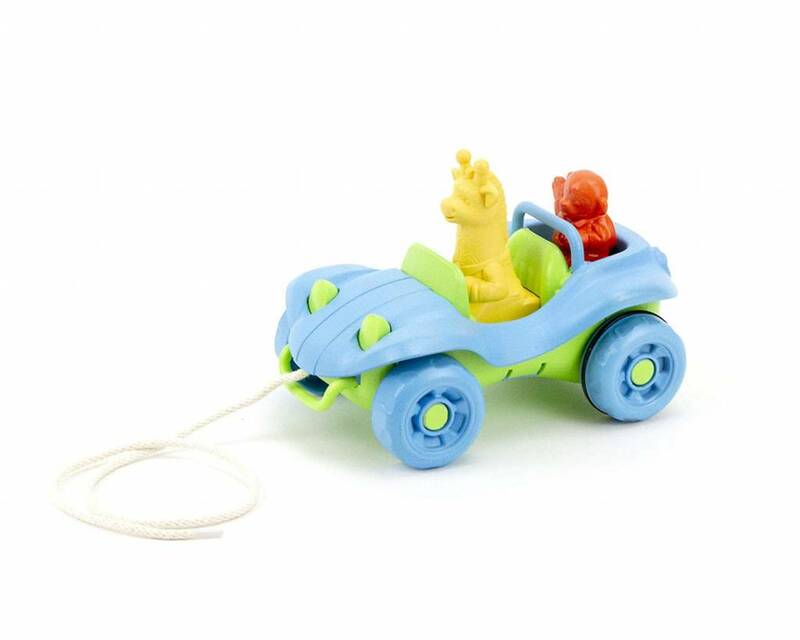 As the wheels roll, the giraffe driver rocks back and forth, while the monkey in back bounces up and down. 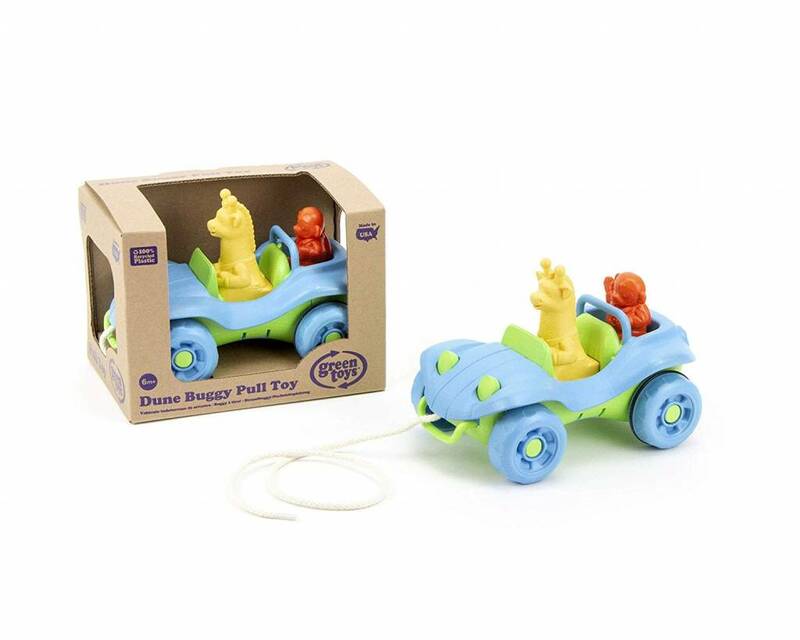 Made in the USA from 100% recycled plastic milk jugs and a 100% cotton rope, this super-safe vehicle has no metal axles or small parts.